Even before it's been published, "Mac OS X Lion: The Missing Manual" is the #1 bestselling Mac book (thanks to preorders). 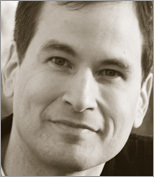 Author David Pogue is deeply immersed in Apple's latest. He's ready to share the juiciest morsels of Lionized goodness that he discovered on his months-long journey through the new Mac OS X's innards.